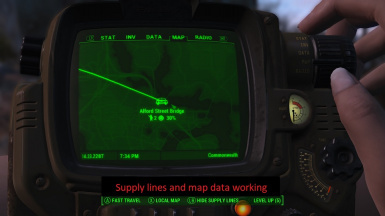 Located between BADTFL and Watt's Consumer Electronics, this large settlement area allows use of a huge chunk of the overhead freeway as well as many of the surrounding buildings. 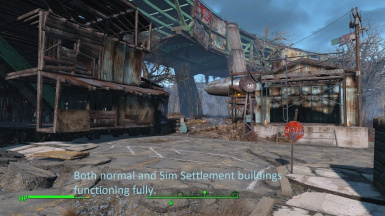 This settlement is fully functional and Sim Settlements compatible. There were so many changes needed on the previous version of this I decided to start anew, so here's V2 of the Alford Street Bridge player settlement. 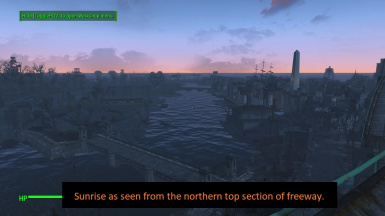 * will function as all other in-game settlements in regards to Minutemen stuff and settlement raids. 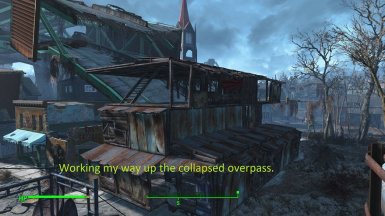 This time around the border is accurate and the build area is well above the top of the elevated roadway. 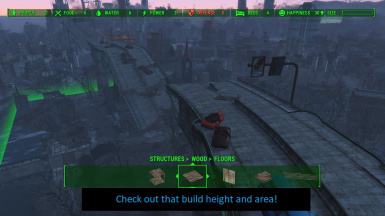 The max build height in the game is actually below the height I set, so it must be the max allowed in the game without a mod to specifically change that. Please let me know by post on this mod or by message. 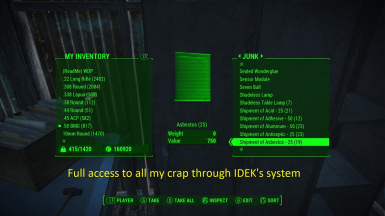 to build my method and therefore this settlement and mod.